In addition to being all-around great companions, dogs help people in numerous ways ranging from assisting emergency workers with search and rescue, to helping people with hearing, sight and mobility challenges, to aiding law enforcement officers. Dogs can also help people with mental health challenges. For example, therapy dogs assist people with posttraumatic stress disorder (PTSD) and children with autism. Therapy dogs are the personal pets of individuals who have been certified or registered to provide visitations to people in need. Therapy dogs (or other animals) are not the same as service animals. Service animals live with their owners who have physical or emotional disabilities and assist them with daily living. Therapy dogs work with professionals and their clients, often within a traditional therapy setting, providing comfort, support and helping engage people. A therapy dog helping to encourage and facilitate social interaction for a child with autism is one example. These specially trained therapy dogs help people with a variety of mental health conditions, including, dementia and Alzheimer’s, depression, PTSD, and autism. Therapy sessions typically include a therapist and the dog and its handler and they often work together through a series of sessions. They work in a variety of settings, including nursing homes and psychiatric hospitals, private practice, and in group settings to help people deal with anxiety and stress. Dogs can create a safe point to start conversation and their nonjudgmental, accepting nature makes them good for this therapy role. The presence of dog can be calming, and animal therapy allows the benefits of touch in therapy. A study of people with Alzheimer’s found that spending time with therapy dogs increased time recounting memories and feelings and helping to improve quality of life. When working with people with autism, therapy dogs have been found to increase social interaction and communication and decreased problem behaviors, autistic severity, and stress. One study of therapy dogs in a psychiatric inpatient setting concluded that the dogs can significantly enhance conventional therapies. Dogs and other animals also participate in less structured assistance, call animal-assisted activities. These are often brief visits at hospitals, schools or other community settings. These activities have a more general purpose of providing comfort and enjoyment for participants. See a list of local dog therapy organizations. Certification: Among the dog therapy certification organizations recognized by the American Kennel Club are Alliance of Therapy Dogs, Bright and Beautiful Therapy Dogs and Pet Partners. American Humane Association. Working Dogs: Building Humane Communities with Man’s Best Friend. (Hero Dogs White Pape.r, August 2016. Amerine JL, Hubard, GB. 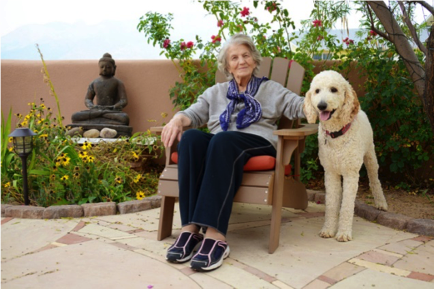 Using Animal -assisted Therapy to Enrich Psychotherapy. Adv. Mind Body Med. 2016 Summer;30(3):11-1. O’Haire, ME, Guerin, MA, and Kirkham, AC. Animal-Assisted Intervention for trauma: a systematic literature review. Frontiers in Psychology, 2015, Vol 6, Article 1121. I am looking for organizations near Wilmington, Delaware that offer volunteer work with therapy dogs.